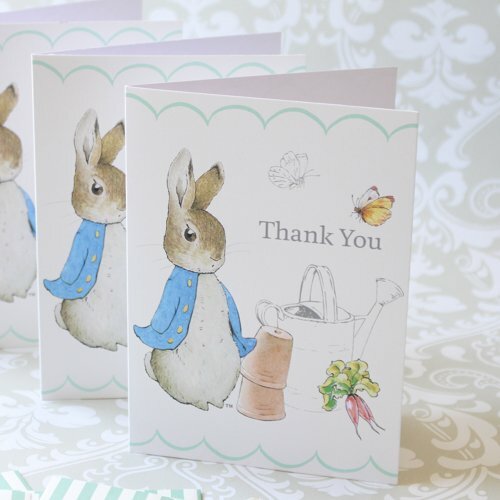 Thank your guests for attending your baby shower with these beautiful Peter Rabbit thank you notes. Featuring the classic illustrations of Beatrix Potter and feature Peter with garden implements and vegetables. The card is also decorated with scollop beading.